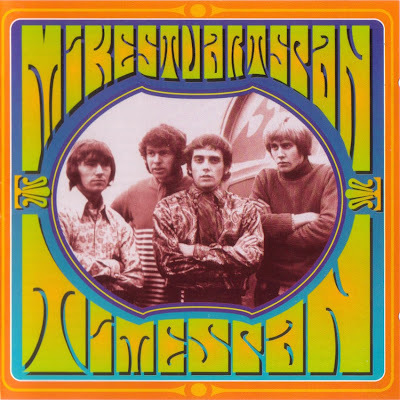 A band with a confusing name and a confusing history, the Mike Stuart Span did manage to record a classic British psychedelic single in 1967, "Children of Tomorrow." With its driving power chords, squealing guitar leads, and haunting harmonies, the song struck a classic midpoint between hard mod-pop and the early psychedelia of UK groups like the Pink Floyd and Tomorrow. The problem was that hardly anyone actually heard the record, as it was pressed in a run of 500 copies on a small independent label. The Brighton group had been around since the mid-'60s, and recorded a few other singles for Columbia and Fontana with a much more conventional pop approach. There was actually no one named Mike Stuart in the act, which began to rely much more upon self-penned psychedelic material in 1967. Most of this never got beyond the demo/Peel session stage, though. The band were pressured by management to make an out-and-out pop single in 1968 that flopped, helping to squelch any prospects of the musicians asserting themselves as a significant presence in the British psych/prog scene. Thanks for showing up such fuoalbus information. I have bookmarked you and will remain in line with your new posts. I like this post, keep writing and give informative post...!